At the Paratekvandou World Championship in Antalya, Turkey there were 400 participants from 69 countries. 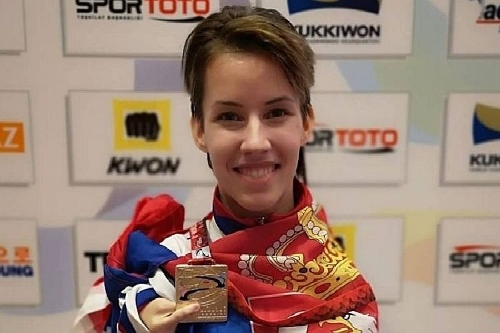 The very talented foot painter Mrs. Dejana Bačko from Serbia won the gold medal in the category from 41 to 49 kg. Mrs. Bačko knows and calls in Serbia the “girl with wings”. She has shown the world that through hard work and training everything can be achievable. We congratulate her and wish her continued success.